The Raleigh Lore DS iE 2019 The quickest way to outsmart obstacles and get where you want to go. 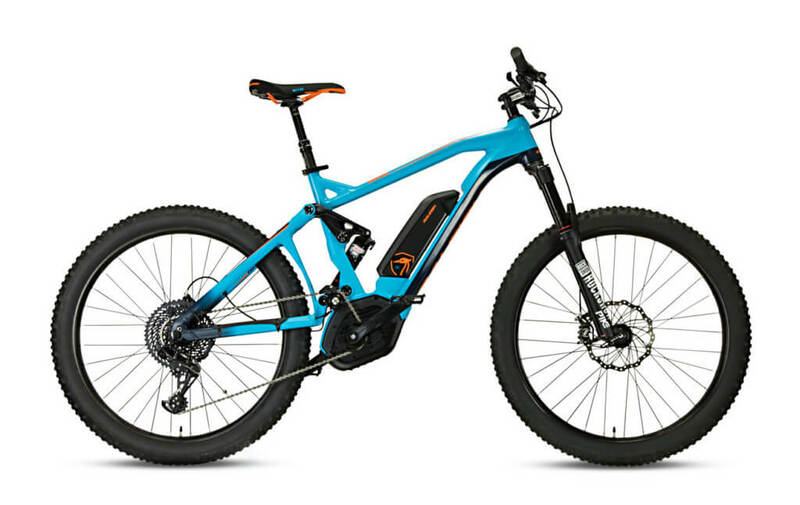 A full suspension ebike with 28 mph assist speed. With Bosch Performance Speed, 350W, The finely balanced, high-performance system with a maximum torque of 63 Nm transforms eBikers into explorers and adventurers and provides the required power at any moment. Frame: The Raleigh Lore DS iE 2019 equipped with Multi Formed Aluminum Alloy 6061 T6 Dual Suspension, 4 Link All Mountain Design. 130mm of Rear Wheel Travel. Semi-Integrated Battery Mount. 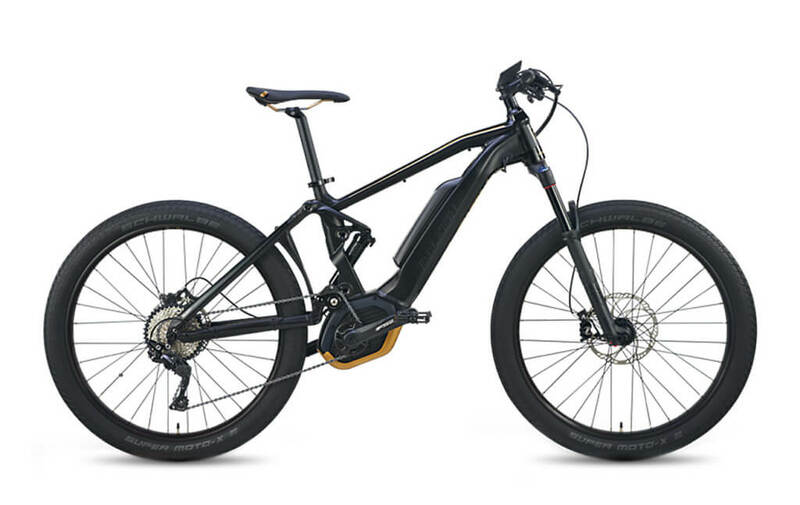 Brakes: The Raleigh Lore DS iE 2019 is equipped with Magura MT Trail Sports Fifty4, 4 Piston Front 203mm Rotor, 4 Piston Rear 180mm Rotor. 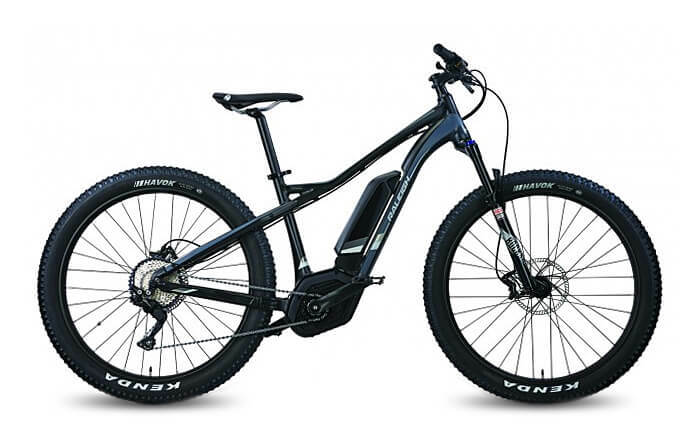 It provides responsive modulation and a reliable brake feel through even the most demanding of trail situations. 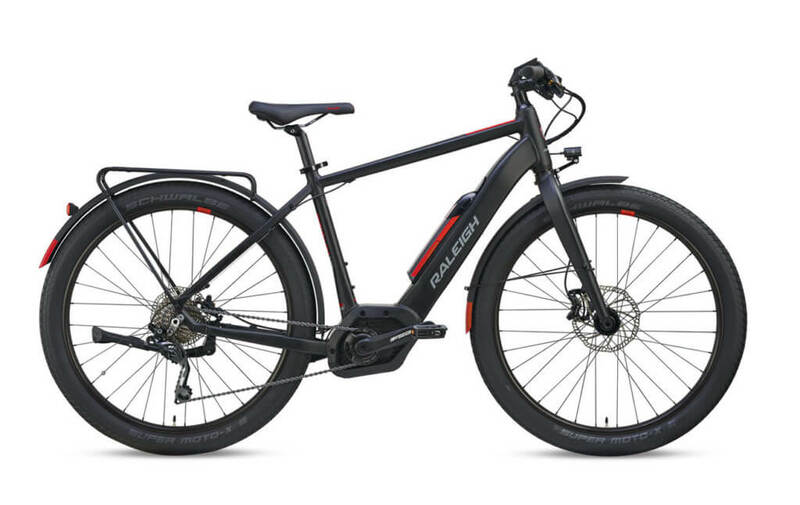 Drivetrain: The Raleigh Lore DS iE 2019 features a Bosch Performance Speed, 350W, a Shimano Deore M610, SGS rear derailleur and Shimano Deore SL-M6000, 10 Speed Shifter. Top Speed: The Raleigh Lore DS iE 2019 provides speed with a top speed of 28 mph. The power comes from Bosch Performance Speed 350W. Tires: The power meets the ground with Schwalbe Super Moto-X 27.5″ x 2.8″ tires and Aluminium 27.5″, Thru axle, Disc Specific, 32 Hole rims.